This physical box filled with tools to feel, hear, watch and smell is intended for use by dance teachers. The tools offered help them in stimulating their pupils to move and to dance on the basis of sensorial input and provide them with something to hold on to when teaching classes that are aimed primarily at generating movement material from an awareness of the connection between body and mind. Sensorium – toolkit for dance is inspired by the artistic vision of the professional choreographic practice of Emio Greco and Pieter C. Scholten. The toolkit offers dance teachers and students a natural grip on the practice of cultivating creativity in movement through sensorial stimuli. 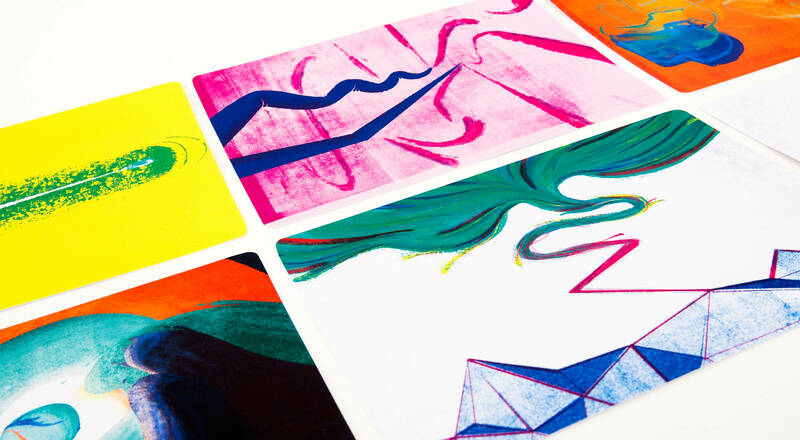 Illustrations, sounds, smells and textures form the starting point for physical exploration and for the natural process of concentration, information processing, creative association and imagination and layered movement creation. Suitable for many training contexts, it is intended for teachers who work with participants from the age of 10. The toolkit is not limited to a single style. The teacher is free to choose its use either in one lesson, in a series of lessons, or as a recurring supplement to their regular training programme. The toolkit combines the creative (generating movement by playful means) and the rational (analysis and processing of suggested options) and so offers a multifaceted view of what dance education can be: learning about oneself, the own body and the relationship with its surroundings through creativity and discovery, whilst analysis and processing come into play along with the physical experience. It is the curiosity for the moving body that drove Greco himself into the studio in 1995. Our aim with the Sensorium is to stimulate that same curiosity in the participants. The purpose of the toolkit is to give teachers materials, not with the aim of prescribing their lesson plans, movement phrases or choreographies, but to help them to encourage their pupils to explore the creative possibilities of the body. Teachers who work with the toolkit are first of all eager to expand their own creative vision, to step off the beaten track of kinetic movement training and to be adventurous in exploring the relationship between mind and body. With the materials found inside this box we aim to encourage teachers to think 'out of the box'. 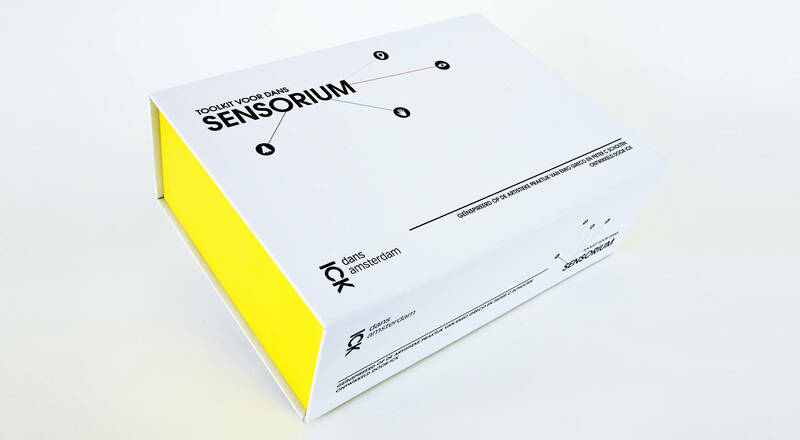 Sensorium –toolkit for dance is sold including an instruction class. 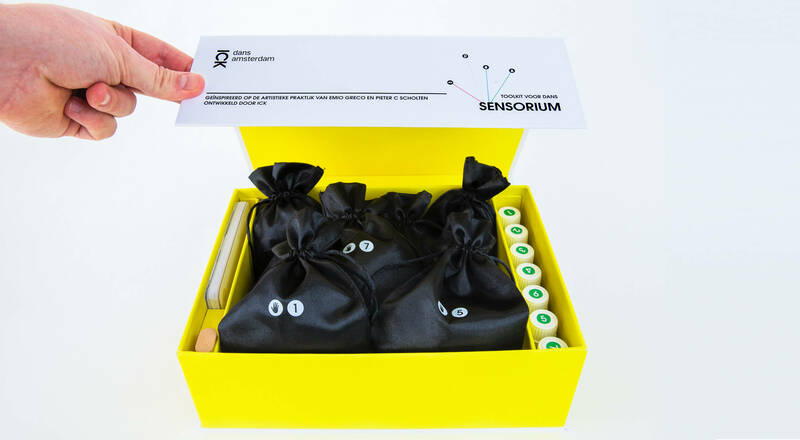 Sensorium - Toolkit voor Dans from ICK on Vimeo. The toolkit was developed by the pillar Academy of the International Choreographic Arts Centre Amsterdam (ICK). It sees dance as a source of knowledge that enriches the arts, sciences and human society as a whole. It is the artistic questions from the immediate practice of the makers at ICK that form the starting point of the projects. The Academy focuses on education schemes, transfer and interdisciplinary research projects with international makers and institutes, as well as on dissemination of knowledge through publications, new media and lectures. The Arts Education research group led by Folkert Haanstra subsequently supported a parallel research by choreographer and dance teacher Susanne Marx, which focussed on the implementation of the collective aspects of the workshop Double Skin/Double Mind for a transcultural approach to dance education and on the development of a potential series of lessons for children aged between 10 and 12, in which the metaphorical language used by Greco and Scholten in the transfer to their dancers was also employed in the lessons.